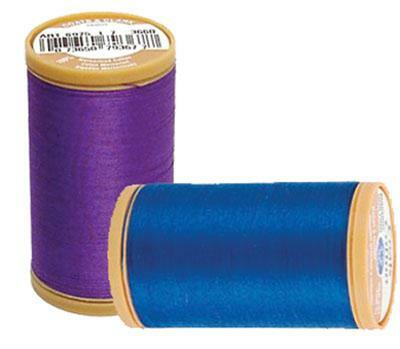 Coats 30wt Cotton Machine Quilting Thread is 100 Extra Long Staple Egyptian Cotton. Mercerized for luster and strength. Ideal for piecing and quilting with excellent sewability on natural fibers Available in a range of 29 colors. 3 spools per box, 350 yards per spool, 240 spools per case. Machine Needle Size: 11 or14.